You can tell many things about a person by checking out the technology they wear. From digital watches to medical monitors, technology sends out messages about finances, work, play, health, and personality. What Does Your Headset Say About You? 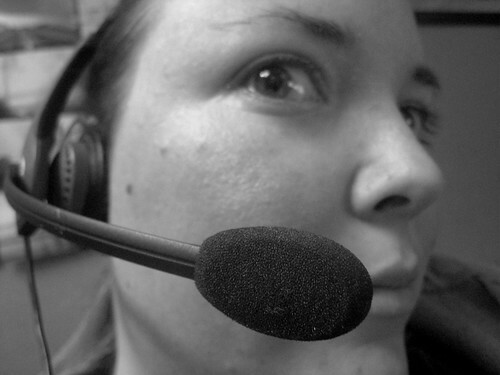 One piece of equipment that provides some subtle hints about a person’s lifestyle, or at least their preferences, is the cell phone headset. There is a variety of Bluetooth headsets on the market for consumers of all ages, financial brackets and lifestyles. Headsets come in a wide range of prices, from less than $25 at the big box stores, to several hundred dollars for professional models that have superior sound and ambient noise cancelation features. Different styles and colors let you tell the world you are fun and spunky or goal-oriented and customer-driven. The Jawbone Up is a tracking and monitoring device that looks like a colorful bracelet to the uninformed observer. Designed to be worn around the clock, except for during recharging, the Jawbone Up tracks sleep patterns, food and movements. Some features are automatic, such as monitoring your level of sleep, and some require more user input and management. The Jawbone Up, at $129.99, tracks your food intake and records eating patterns, too, according to Wearable Technologies. Sonostar gives golfers access to information about 30,000 golf courses and provides range-finding services, NDTV Gadgets reports. In addition to helping golfers shave a few points off their scores and gather information about course layouts before they head for the tee boxes, the new watch will help runners and cyclists monitor calories burned and miles charted. If used in conjunction with a smartphone, users can access Facebook, Twitter and other networking sites, plus read e-books on a 1.73-inch screen. The price tag will be around $179. Naturally, the watch displays time accurately, too, though wearers of these watches probably make sports one of their biggest priorities. Wearable technology is fun and fashionable, and with innovative and creative applications, users are finding efficient ways to manage their health, stay connected with work and family, and participate in sporting events. In the future, consumers will see more safety features built into clothing and other products, too. People who work around toxic materials are trained to handle potentially hazardous materials regularly. The Fraunhofer Research Institution for Modular Solid State Technologies EMFT developed gloves alert wearers when toxins are present, Dvice reports. Some computing devices telepathically communicate using brainwaves, such as a new Samsung tablet, are being tested, according to MIT Technology Review. The future holds promise for new devices and applications to improve education experiences, make the workplace safer and simply entertain people who need to unwind. What does your wearable technology say about you? Tell us in the comments.